A huge shout-out to Hannah Rivard of Stacy, Minnesota – and founder of Cambria Equine – for being chosen as the WomenNet.net January Amber Grant winner! 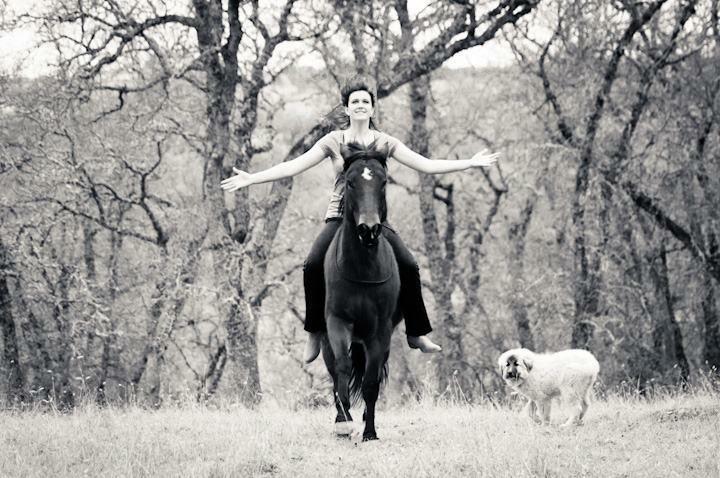 Hanna has leveraged her passion and love of horses into a unique business model. Below is an interview with our latest winner. We hope you’ll be inspired. Also a quick reminder that we’re now taking Amber Grant applications for February’s grant, and would love to hear your story! WNN: Please tell our WomensNet.net readers a little bit about Cambria Equine. 1. I developed a completely unique, unheard-of method of horse training that I teach through in-person services (ex., lessons, clinics, seminars) as well as online coaching. : (www.cambriaequine.com). This training is focused on empowering people to train horses intuitively, through beauty and joy, which is a far cry from most instructors, who give only techniques and never empower their students to truly follow their dreams. 2. As an actress and model, I market this method uniquely through photoshoots, films, and theatrical shows. Horses in film—from Shadowfax in “Lord of the Rings” to the Black Stallion to Seabiscuit—awaken people’s longing for a deeper horse-human connection, and such stories can inspire people on a different level than pure instruction can. Focusing on art and beauty make Cambria Equine stand out markedly from every other horse business on the market today. 3. Finally, through extensive college research as well as my own dreams and vision, I realized there is an opportunity in the equestrian world for marketing artistic, beautiful horse products, from fashionable clothing to embroidered saddle pads to home décor. While many small businesses do sell those products, they are scattered across the internet and world, with no central hub for people to purchase them. I have developed, what I call Shop Cambria, which is an “Amazon.com for the artistic equestrian.” There, third-party vendors can upload their products to my site and sell them while I make a commission. In this way, I can support their businesses and dreams while also expanding my own. WNN: What was your inspiration to become a woman entrepreneur? My entire life has been a preparation for my life in Cambria Equine. When I was two, my favorite color was brown—because obviously, all horses were brown. When I was a teenager, I was already internationally recognized for my horsemanship and was developing my own unheard-of horsemanship style. When I became an adult, I was told by professionals that few could make a living with horses—but that I could. When I entered college, I won a $25,000 horse-in-an-essay contest which launched me again to international recognition. While in college, I designed my own major of Entrepreneurial Business so as to be best prepared for life as an entrepreneur and became the first person in my college to graduate with that degree. After graduating, I received even more entrepreneurial experience by writing and publishing a book on college scholarships (after maintaining a 4.00 GPA and funding my $100,000 education entirely through scholarships) and teaching at schools and colleges across the state on that subject. Up at 6a.m., to bed at midnight, I live and breathe horses Cambria Equine, because nothing is more energizing to me than combining all my passions of art, beauty, acting, dance, spirituality, horses, teaching, and entrepreneurial spirit into one all-consuming passion. Cambria Equine isn’t just a hobby or a business—it is my heart. WNN: What will you do with the Amber Grant money? HR: I have already launched the website, purchased compatible hosting, WordPress templates, and plugins, and am saving thousands of dollars by designing the Cambria Equine website myself. However, while through research, evaluation, and sales/coupons, I have minimized startup costs, there are still three large costs left associated with launching Cambria Equine – one of which is shopping cart software. While there are a few less expensive shopping cart softwares available, none compare to the functionality and ease of use of CS-Cart. Therefore, the $500 Amber Grant will be used to pay for half the cost of the CS-Cart software so that I can be better equipped to provide for the consumer shopping needs of my clients as well as give my vendors an elegant, straightforward place to sell their products and support their own small business. WNN: We’ll be keeping on eye on you and your business venture, Hannah. We wish you well! HR: Thanks so much for this much-needed grant. It’s great how you’re helping women entrepreneurs!